If you are like me, you started blogging on the Blogger platform and it certainly has it benefits. However, most bloggers find themselves debating about whether to switch from Blogger to WordPress. Both blogging platforms have their own pros and cons. But for those thinking of transferring their blogs to WordPress, it can be bit scary when doing it on your own. I know I was nervous when I moved from Blogger to WordPress about a year ago. I took the challenge and so CAN you. When I made the switch I did so by researching various transfer tutorials and I made the switch without much difficulty. However, Blogelina’s Blogger to WordPress Transfer Kit saves you the hassle of looking up tutorials and puts everything you need for a Do It Yourself Transfer from Blogger to WordPress into one easy and convenient package. 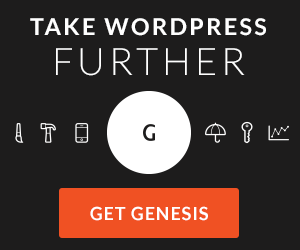 A FREE year of web hosting! I truly wish this kit was around when I decided to move my blog from Blogger. However, that didn’t stop me from snagging my own copy for a handy reference when helping any friends or clients make the switch in the future. Now through November 4th you can save an additional $20 off the transfer kit. That’s right you can get this handy transfer kit for just $17! Use coupon code SAVE20 at checkout. 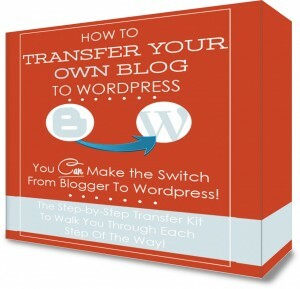 Order your Blogger to WordPress Transfer Kit NOW before the sale ends! Disclosure: This post contains affiliates links, which means I receive a small commission for any products purchased through the links. It costs you nothing extra and your purchase helps support this site.